I love helping people make good decisions. While growing up in Southern, Ontario I watched the Greater Toronto Area explode into an international hotspot and this piqued my interest to start my real estate business here. In addition to negotiating the best price for you.....it’s important to understand your needs; be readily available to you; and, communicate effectively whether you buy or sell a home. It’s also important to have a good support system in this business so I surround myself with a network of trusted professionals ensuring I have the best solution for you. I would be honoured to help you on your next transaction. I have had the great fortune to be directed to Steve Moran to purchase my home. I can not tell you how absolutely refreshing it was to deal with a professional, honest and sincere agent. He found me the perfect home, he was so patient and he was always honest. He could have made a larger commission and he chose not to when he informed me that the property I was interested in was priced too high. Now 2 years after finding the perfect place with his advice, I realize how happy I am that I took his wonderful advice. I recommended him to my daughter and her partner and they had amazing results in selling their home and purchasing another home with Steve's guidance and expert experience in real estate. I would highly recommend if anyone is buying or selling a property to contact Steve. I tell people constantly about him and refer him to them. He has become a wonderful friend as well. Thank-you Steve . I called Steve in February 2015 to request his help as a first time home buyer. I knew Steve for over 3 years - first as my landlord and then as my friend. He understood my needs and cautioned me that the home buying process would be full of peaks and valleys. It was indeed. There were times when I blew my fuse over losing to another offer. I wondered why Steve did not advise me to bid higher. Little did I understand that this wonderful gentleman was actually trying to safeguard my interests. If you are an honest person who wishes to be in the right hands for his/her real estate needs Steve is THE person. I eventually zeroed in on a property and needed a quick home inspection in order to submit an offer without conditions. Steve introduced me to a competent home inspector. The home inspector saved me from buying a home where a chimney wall had marginally separated from the building. Steve did not try to influence the home inspection. A big surprise happened when my purchase closed. Steve gave me a few documents to sign – one of the documents was an agency agreement between buyer and brokerage which I was supposed to sign prior to viewing my first home with Steve. Steve did not ask me to sign this document until after we had viewed 47 properties during the brutal winter in 2015. Steve taught me a few lessons in friendship. He is a person who, I am sure, deals in millions. But the care he took for a first time home buyer and the patience with which he handled my file will never be forgotten. Anyone who is reading this and having any doubt can contact me at arnab70.ss@gmail.com. If you want a sincere, honest and diligent real estate professional who will safeguard your interests, look no further. My heartiest thanks to you Steve! All the best!! We were actively searching for a family home in Toronto for over a year. We had no luck in finding a house so we took a break for a few months before re-entering the market. During this time, I met Steve and decided to engage his help in helping us find a house. He went straight to work! We were able to secure a nice family home within a few short months in a tough heated real estate market in Toronto. He provided us with great advice especially in multiple offer situations. He listened to our concerns and provided advice accordingly. I recommend Steve without any hesitation as he is a knowledgable and trusted professional. We look forward to working with you again. Just wanted to say thank you from the bottom of our hearts!! You helped us find the home of our dreams. You have become a great friend. If we ever know anyone who is interested in buying or selling a home we will make sure to tell them to work with the best agent in Canada, Steve Moran. Thanks again. I recently decided to purchase my first investment condominium and was referred to Steve by a friend of mine. I had no background or experience in buying or selling real estate. Steve was exactly what I was looking for in a real estate agent: knowledgeable, experienced, honest, always accessible and a true professional. He guided me through the process and helped me find the right condominium. He continues to be of great help even after the purchase of the condominium. I've already referred Steve to friends and family, and would highly recommend him to anyone looking to buy or sell. We just wanted to pass along our thanks for your exceptional support during the sale of our home. Words cannot express how much your updates meant during what ended up being a very short selling process. There sure was a lot more going on than we expected, you are certainly a pro at this! Now that we are settled into our new home we felt that we needed to personally thank you. The service that you provided is extremely rare in this world and we want you to know that we appreciate it immensely. Steve was wonderful during our condo sale. He guided us in every way to complete our condo sale quickly. He is trully knowlegeable about this industry and offers the support needed. We THANK You for your hard work and look forward to working with you for our house purchase. You truly are a professional who takes the time to understand the needs of your client and puts together a plan of action to get the desired results. I have worked with many people in residential real estate and you are one of the most professional and enjoyable persons that I have had the opportunity to work with. I was a first time condo owner and knew nothing about selling a place. So when my girlfriend and I decided it was time to move in together I was very apprehensive about selling my condo. I did not know what to expect, or what I was expected to do, but after the first time I met with Steve, I felt better about everything. He was very professional and knowledgeable and explained the entire process to me. He told me what I needed to do to get my place ready and he pretty much took care of the rest. When my place was listed on the market, it sold for full asking price in less than one day!! Steve made what I expected to be a stressful experience into a pleasant and trouble free transaction. Not only is he a fantastic real estate agent, he is also a great guy. I do not hesitate in recommending him. This was my first experience at buying a home on my own. I found Steve on the MLS web site. He had several listings that looked very interesting to me. I gave him a call, explained my situation and what I was looking for. After a day of researching, he found several properties that matched my criteria, and I did buy one. Steve Moran is professional, courteous, friendly, and a very hard worker. If you want an agent that has his clients best interests at heart, Steve is the man. Buying and selling your first home can be a daunting task if you are at the hands of someone who does not provide professional and prompt service. We were very fortunate to have found Steve in assisting us with buying our new home. His work ethic, patience, professionalism and putting interest of his client first really helped us feel at complete ease. It never occurred to us that someone can be as dedicated and patient in helping clients find the right home. He not only provided us with his time and expertise - but was always willing to and shared his extensive contacts within the industry. We always mention Steve as our first choice go-to real-estate solution - because to us that is what he is. We really appreciated Steve's help, commitment and quick responses to our many questions as we went through the process of buying and selling our homes! He was always professional, patient and dedicated and, to this day, continues to offer us his support and assistance. Steve would be an asset to anyone buying or selling a home! I always had reservations about sales representatives. But all that was gone in the first meeting itself with Steve. He is thoroughly professional, has great handle to all the information for upcoming properties, pampers you with more options that you can ask for. As he always says "Life is great", I would say it truly is when you have Steve to help you. He made the property search very easy for me. Always prompt in returning mails, and calls he is an absolute delight. I very strongly recommend Steve. Steve, it is an absolute pleasure knowing you. Steve was highly recommended by a friend and we were certainly not disappointed. He made the selling process easy and stress free. Steve was always cheerful, friendly, easily accessible and most importantly, professional in all dealings with us. He properly assessed the property for sale and outlined and implemented aggressive marketing programs which lead to a sale in two weeks. He did not only what was required to sell our house; he went the extra mile with everything he did. Thank you Steve and best wishes for the future. We know you have a long and prosperous career ahead of you. We will not hesitate to recommend you to our friends and colleagues. You are a true professional. Thank you for helping me through the process of finding my first investment property. You were able to answer all my questions, but mostly appreciate your working with my schedule. Steve, thanks for the quick sale. You are a very positive, thorough and high energy real estate professional. I felt that you wanted to sell my home for me from the very first meeting. You gave me objective advice about my home and about the offer I received. I really appreciated all of the tips on contractors. Your patience and intelligent advice helped me throughout the complete sales process. I definitely felt that you were looking out for my best interests. Thank you. I want to thank you for the excellent customer care you provided me during the sale of my property. Your professional manner up to and beyond closing was very much appreciated. I will most certainly look you up with regards to purchasing a new property should I venture back to your area. I will also recommend you to anyone I know who is in the market to buy or sell real estate. Once again I thank you very much and wish you continued success. "I have bought and sold many homes in my life so I have worked with a variety of real estate professionals. Steve Moran is by far the best! He provided superior marketing knowledge, savvy and well seasoned sales experience. Steve’s consistent high energy level, patience and intelligent advice helped me throughout the sales process. He works tirelessly on behalf of his clients. His professionalism is a credit to the real estate industry as a whole. I give you an A++++! I had a great experience with Steve. Classy, knowledgeable, patient and thoughtful is how I describe Steve. He was always prompt in returning my calls and emails and answered my questions thoroughly. Steve kept in contact during the whole selling process making sure things went smoothly. I feel good knowing I can contact Steve in the future with any questions and feel comfortable about it. I would not hesitate to recommend Steve to all my friends and colleagues. Thanks again for the outstanding job. True professionalism shines through knowledge, customer service and dedication to one's job. Thank you Steve for your hard work on my behalf. You have found a particular niche which suits you perfectly and in which you excel. All the best in your future endeavours. One would hope that you continue to shine with each client that chooses you, a true professional, to assist them with their selling or buying needs. Future clients will not be disappointed when they do business with you. Exceptional customer service, dedication and knowledge of your industry are definitely your strongest assets. Its a great life! We are very happy with your service and professionalism. You did an excellent job with both the sale of our existing property and the acquisition of our new home. You always answered phone calls and messages promptly and professionally. Thanks Steve! Steve has worked relentlessly for my family guiding us through the sale of 3 homes and the purchase of 2. His confidence, competence and established selling techniques helped us through the challenging time of selling and buying one of the most important assets, a home, in our lives. I would recommend Steve and his expertise to anyone selling and buying a home. A job well done Steve! Thanks. We were talking to a property manager about buying a home and she suggested that we contact Steve Moran. Steve showed us how easy it would be to buy a home. He made the whole buying process easy for us from finding a mortgage representative; negotiating the deal while we were out of the country; finding a lawyer; and, recommending contractors for some renovations. Steve went above and beyond to serve us and get everything done in a very short time frame. No one could have made us feel more at ease buying a home. We are very impressed by Steve's willingness to work with us and always keep our best interests in mind. Now we always recommend Steve. Steve was just simply - excellent. His dedication to providing professional and prompt service was exceptional. As a first time home buyer he did not leave one doubt or question unanswered. I had told my friends the time he spent with me was way more then I was expecting, but he took the time to insure I was comfortable and at ease with the entire process to the closing date. I highly recommend Steve to assist in buying your home. I listed my condominium in Mississauga with Steve. He made sure that I sold it for the price I was looking to get, without any pressure. He was extremely courteous, friendly and professional. I referred him to a friend of mine as well, and she was equally pleased with his services. Keep up the good work! We really appreciated the personal attention we received. We feel like Steve is a good friend. He does all the work to make it easy to buy or sell. We highly recommend Steve to anyone. Steve Moran is a true real estate professional and I highly recommend him to represent you with your real estate needs. He fully understands, through years of real estate experience, a home is not only a long term investment; more importantly a lifestyle. It is a backyard for your children to play, a patio for your barbeque creations, more leisure in that special condominium, a place to call home. I have enjoyed 32 successful years in this industry. I am now a consultant to real estate agents. I know a good Realtor when I see one. Call Steve Moran, he will be your Realtor for life. I am writing this letter to let you know how pleased I am to have done business with Steve Moran. I met Steve over one year ago. At that time, I was just beginning my search for a new home. He remains personally involved and takes the time necessary to help buyers identify key features of their ideal home. He is a tireless researcher and advocate for the buyer, making sure that his or her purchase of a home is professional from start to finish. It has been my pleasure doing business with such a wonderful and caring Realtor. I will gladly recommend Steve to everyone I know who is interested in buying and selling a home. We are extremely happy to have had Steve represent us as our real estate agent. He provided us with exceptional assistance in purchasing our first home. As first time home buyers we were completely new to the process and Steve was able to professionally guide us through every step of the way, taking the time to explain everything in detail, eliminating any uncertainties that we had. He is very dedicated and punctual, and could always be relied upon to do as promised and return calls promptly. Steve was very patient with us in our search for our perfect home and did not make us feel pressured into making any rushed decisions, but through his dedication and commitment, he was able to find us exactly what we wanted very quickly. We are now proud home owners thanks to Steve. 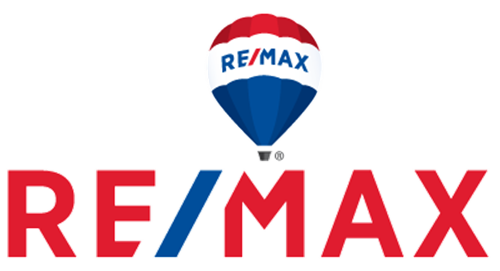 We are completely satisfied with the service provided by Steve and would highly recommend him to anyone looking for a great real estate agent. With his years of experience, excellent contacts and very courteous and professional manner, we are sure Steve can provide you with exceptional expertise and service to assist you with all your real estate needs. Steve, thanks again for providing us with such a great experience.